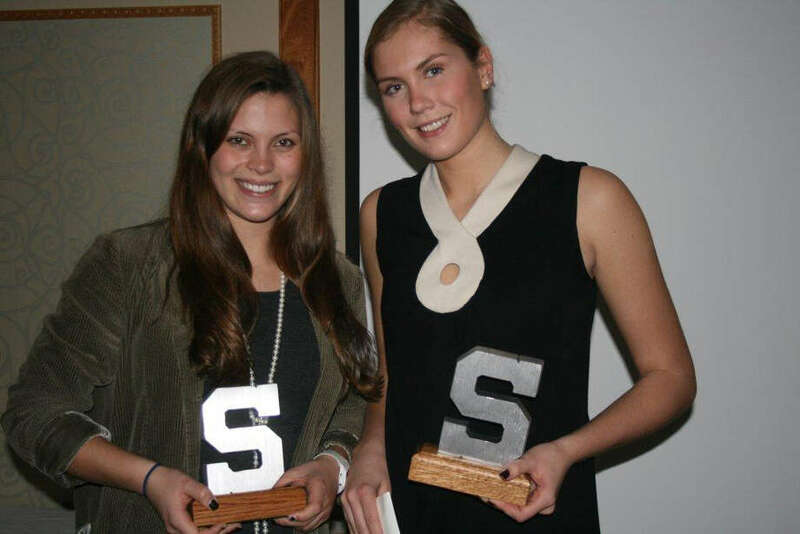 Staples girls volleyball senior captains Kenzie Roof, left, and Joosje Grevers celebrate their Block S Coach's award and Block S Team MVP award, respectively. Staples senior captain Joosje Grevers earned many honors this fall. Grevers was the Block S Team MVP recipient, a First Team All-FCIAC and a Second Team All-State selection. Senior captain Kenzie Roof was the Block S Coach's award recipient. Also receiving recognition from the FCIAC were senior captain Anna Link (Second Team All-FCIAC), senior setter Dani Kosinski (Third Team All-FCIAC) and senior Augustine Gradoux-Matt (Honorable Mention).